In Costume Jewelry > Costume Earrings > Show & Tell. 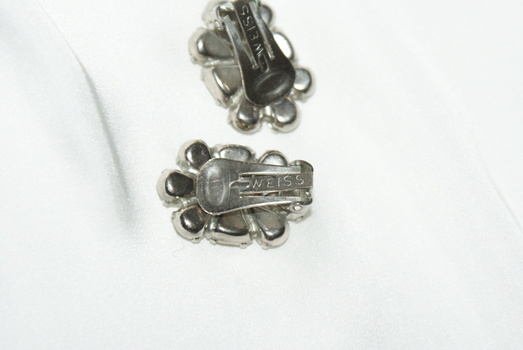 There is not much to say about these earrings. I believe the date to around the 1950's-1960's. 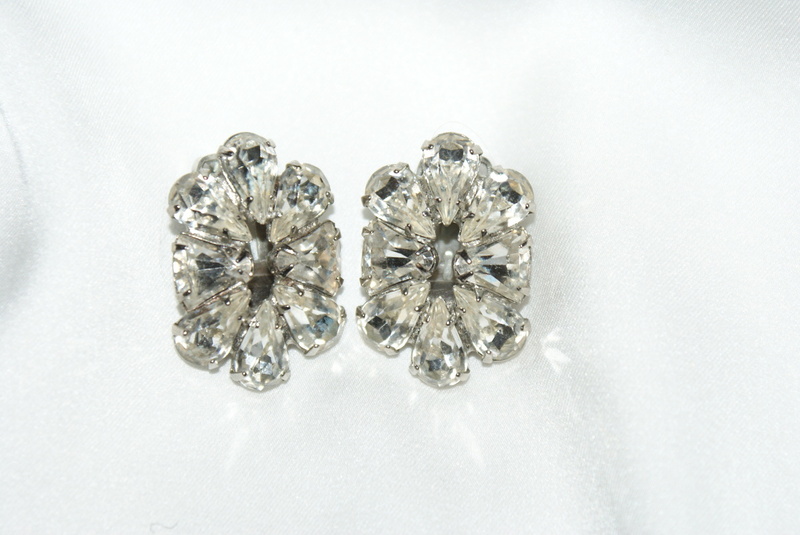 The earrings need a light cleaning but are otherwise in perfect condition. Very lovely vintage Weiss earrings! Yes, Ms.CrystalShip. 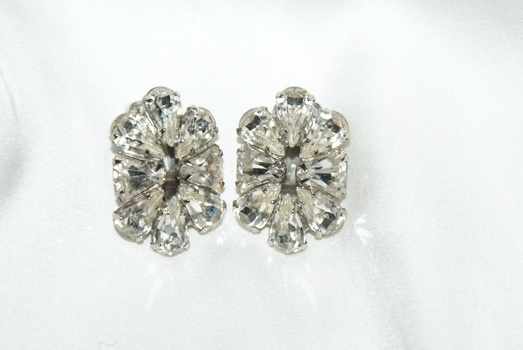 I have some other clear rhinestone earrings but I got these one sanyway because of the sparkle!